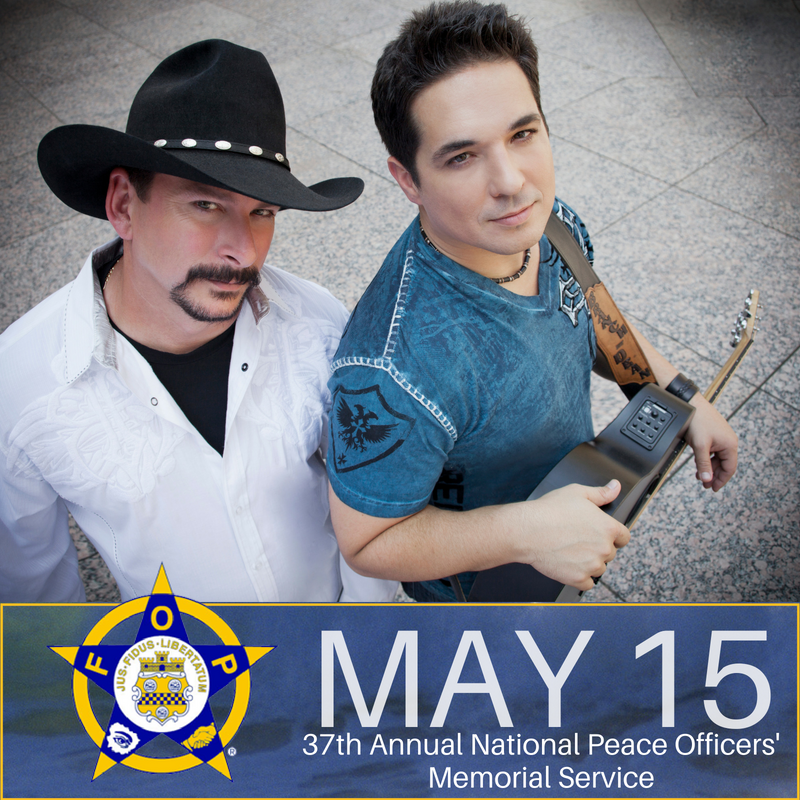 WASHINGTON, DC (May 14, 2018) - SSM Nashville Records duo Branch and Dean will perform their heart-wrenching hit, "The Dash" at the 37th annual National Peace Officers' Memorial Service tomorrow at 11 a.m. Eastern. This annual event is held to honor officers who lost their lives in the line of duty. Families of fallen officers receive a medal of honor and a flower to place in a wreath at the wreath laying ceremony. This wreath then hangs for 24 hours at the memorial in Judiciary Square. Greta Philvek of the National Memorial Committee saw Branch and Dean perform at the National Annual Conference last August. She was in awe when Branch and Dean accepted the offer to perform. "We are overwhelmed that they are willing to perform for us," she said. Chairman of the Memorial Committee Lou Cannon, said Branch and Dean's song, "The Dash" has a terrific impact and meaning for families. "Officers know every day that they wake up to perform their duty, and we want their families to remember the officers' sacrifices to keep everyone safe," he said. "The Dash" is so special in our hearts and it is going to be a special moment shared by two very special people." Dean Scallan, of Branch and Dean, said despite how busy their touring schedule is, this memorial is so important for both of them. "It's an absolute honor to be asked to sing at this event," Scallan said. "There was no way we would miss this." The memorial will be televised on local television stations. For more information about Branch and Dean visit, www.branchanddean.com.